Trevor joined Watsi on November 13th, 2015. 14 other people also joined Watsi on that day! Trevor's most recent donation traveled 6,200 miles to support Chanthoeun, a woman from Cambodia, to fund eye surgery. Trevor has funded healthcare for 42 patients in 11 countries. Brian is a baby from Kenya. The family lives in Makulani village in the Eastern region of Kenya. Brian has been diagnosed with encephalocoele, a type of neural tube defect in which brain tissues and overlying membranes protrude through openings in the skull. Encephalocoele usually results from a failure of the neural tube to completely close during fetal development. Without treatment, Brian is at risk of developmental delays, brain damage, or premature death. 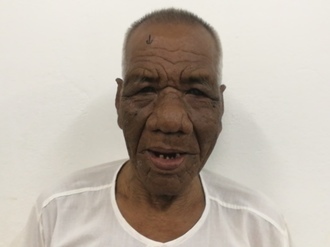 Our medical partner, African Mission Healthcare Foundation, is requesting $929 to fund encephalocoele repair surgery for Brian. The procedure is scheduled to take place on February 7. Hopefully, the repair of this condition will allow Brian to grow up healthy. “I hope he gets treated,” says Brian’s mother. 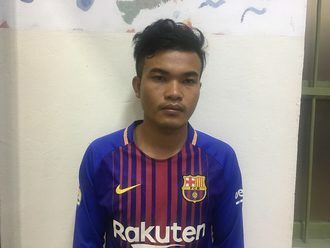 Sokun is a teenager from Cambodia. He has one younger brother and one younger sister. He likes to read and study chemistry. He wants to be a teacher when he grows up. He enjoys eating grilled meats and soups. 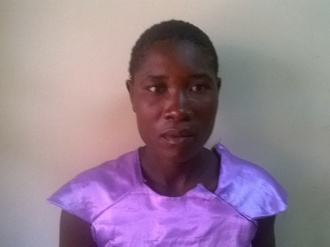 For the past year, Sokun has had a recurrent infection that makes it difficult to breathe and sleep. He has been diagnosed with enlarged adenoids. Surgery can get rid of the infection and improve his quality of life. He will be able to sleep again and focus better at school. Surgery is scheduled for December 12 and will cost $221. His mother says, "I hope my son's surgery is a success and he can return to school soon." 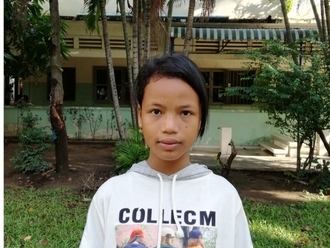 Sovannary is a seventh grade student from Cambodia. She has four sisters and five brothers. She is the youngest in the family. She likes to listen to classical music and go for walks in her free time. Sovannary has clubfoot of her right foot. Clubfoot is a condition in which the foot is twisted out of shape. This causes difficulty walking and even wearing shoes. Fortunately, Sovannary traveled two hours to visit our medical partner, Children's Surgical Centre (CSC). There, surgeons will perform a clubfoot repair procedure on September 11. CSC is requesting $353 to fund Sovannary's clubfoot repair. After treatment, she will be able to walk easily.. Her mother says, "I hope my daughter doesn't have difficulty walking." Roem is a rice farmer from Cambodia. He is married. He likes to listen to monks pray on the radio. Three years ago, Roem developed a cataract in his right eye, causing him blurred vision and photophobia. He has difficulty seeing things clearly, recognizing faces, and going anywhere outside. When Roem learned about our medical partner, Children's Surgical Centre, he traveled for one and a half hours seeking treatment. On August 7, doctors will perform a small incision cataract surgery and an intraocular lens implant in his right eye. After recovery, he will be able to see clearly. Now, he needs help to fund this $211 procedure. His wife says, "I hope my husband's vision is improved after the surgery." 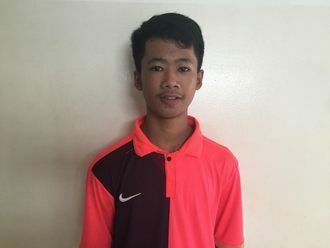 Sok Khon is a farmer from Cambodia. She has two daugthers and seven grandchildren. She likes to visit her local pagoda in her free time. 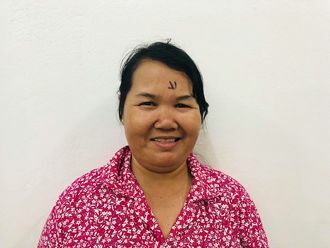 Two years ago, Sok Khon developed a cataract in her right eye, causing her blurry vision, clouded lens, and photophobia. She has difficulty seeing things clearly, recognizing faces, and going anywhere outside. When Sok Khon learned about our medical partner, Children's Surgical Centre, she traveled for four hours seeking treatment. 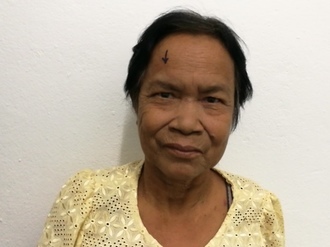 On July 10, doctors will perform a small incision cataract surgery and an intraocular lens implant in her right eye. After recovery, she will be able to see clearly. Now, she needs help to fund this $211 procedure. She says, "I want to go the local pagoda and take care of my grandchildren."